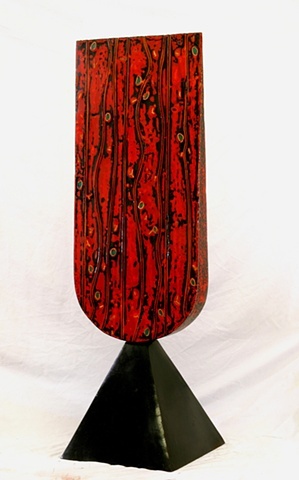 Delos Van Earl Studios - "Chailice"
42" X 14" X 12"
Black lines formed by string on a red and black background with blue-green accents made from pistachio shells. Sits on its own black base. Beautifully touchable.